Updated CCNP Routing & Switching 300-135 TSHOOT dumps will ensure that you can pass 300-135 Troubleshooting and Maintaining Cisco IP Networks exam. The current version of 300-135 dumps is V25.02 with 71 questions and answers. The valid and latest 300-135 Q&As are cracked by experienced Cisco experts, which can be the great learning tool for CCNP Routing & Switching 300-135 TSHOOT exam. 1. Which of the following is the ping response to a transmitted ICMP echo datagram that needed to be fragmented when fragmentation was not permitted? 2. Which two of the following options are categories of Network Maintenance tasks? 3. Which three of the following are reasons EIGRP neighbor relationships might form? 4. What type of cable is used to connect to the console port and aux port of two routers together? 5. Which statement best describes GRE protocol? 6. You are troubleshooting an issue with a GRE tunnel between R1 and R2 and find that routing is OK on all intermediary routers. The tunnel is up on R1, but down on R2. A client reports all password in plain text after running ‘show archive log config all’. How can you prevent/ encrypt all messages? 10. What Debug command is used to identify and troubleshoot ip fragmentation and path maximum transmission unit discovery issues? 11. A network engineer has configured GRE between two IOS routers. The state of the tunnel interface is continuously oscillating between up and down. 13. Refer to the statement. 15. What will happen if client A will telnet to this device. 16. How to fix the ACL? How to fix the ACL? 17. 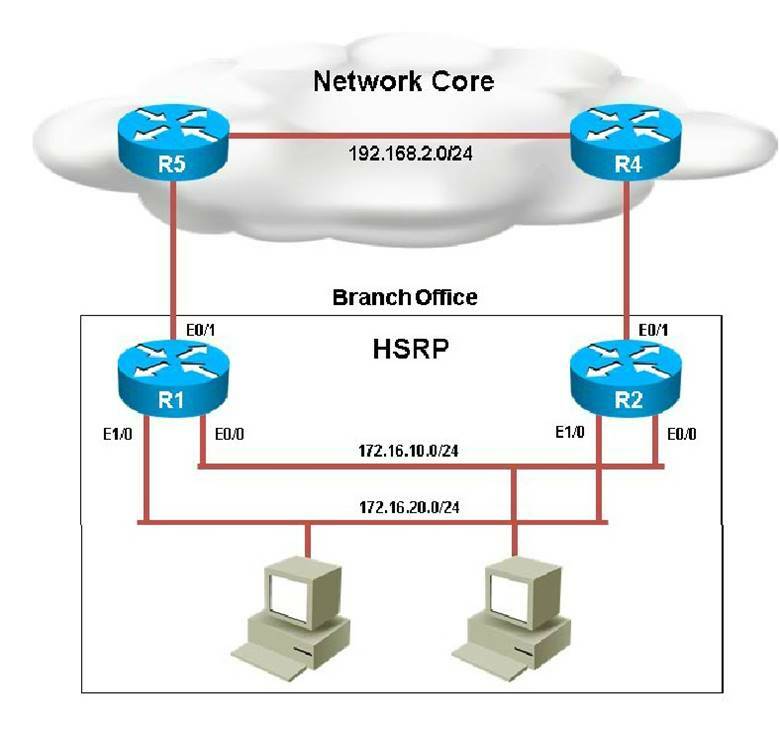 A network administrator is troubleshooting an EIGRP connection between RouterA, IP address 10.1.2.1, and RouterB, IP address 10.1.2.2. Given the debug output on RouterA, which statements is true? A. RouterA received a hello packet with mismatched hello timers. B. RouterA received a hello packet with mismatched authentication parameters. 19. The following debug messages are noticed for HSRP group 2. But still neither R1 nor R2 has identified one of them as standby router. Identify the reason causing the issue.